Were setting up a pfsense box as a virtual machine inside a VMWare ESXi 6.0 environment (inside a VXRail hyper-converged Box). I've done a bit of research/testing as I was trying to set up decent packet capturing: as documented, VGT (port group with VLAN ID 4095) forwards all VLANs from a vSwitch (and probably dSwitch as well) to the VM. However (poorly documented): in Windows, both VMXNET3 and E1000 will - by default - receive all frames from all VLANs but both will also remove all Q tags. Frames being sent out remain untagged, so they'll go to the untagged VLAN on the physical switch. When you configure a VLAN ID in Advanced Settings on the vNIC, the vNIC starts to filter, only receives frames for that VID (untagged), and tags all outbound frames with this VID. This is exactly the same for VMXNET3 and E1000. If you install the Intel PROSet utilities with the E1000 vNIC you can set up virtual vNIC instances inside the guest that each provide connectivity to a single VLAN (just like on a physical machine). Therefore, accessing the full trunk and seeing the 802.1Q tags in packet capture doesn't seem possible in any way in Windows. 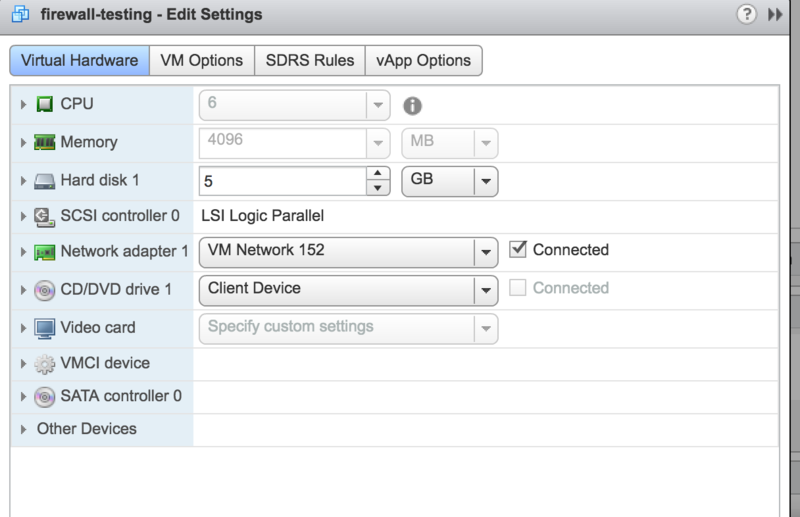 My impression is that this is a limitation of the virtual vNIC hardware/driver/OS and not of the vSwitch. Linux and FreeBSD on the other hand have native VLAN support, using subinterfaces for each VID. My guess is that with VGT you could actually access the VLAN trunk and see the tags in captured frames. I'll try this some time and keep you posted. If you add a distributed portgroup with VLAN 4095, that port group will keep 802.1Q frame tags set by pfSense virtual machine. This configuration is known in vSphere parlance as VGT or Virtual Guest Tagging, see KB 1003806 and KB 1004252. I looked over your configuration, and it seems proper on the pfsense side, that's exactly what I'm doing in my own lab with pfsense, and I have several VMs in production with that type of VLAN trunks. The issue seems to be that you're using host networking for your VM. 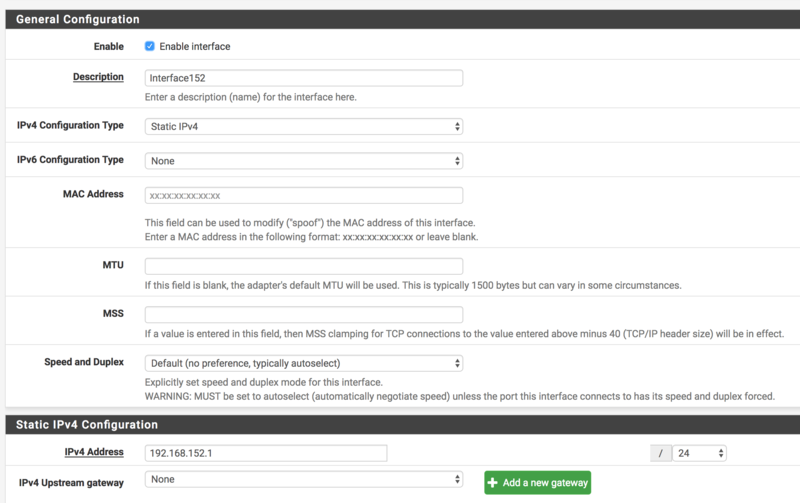 I'd configure a new port group on the dSwitch with the settings VLAN and VLAN ID 152, and assign the NIC to that. Not the answer you're looking for? Browse other questions tagged vlan pfsense vmware or ask your own question.